Why do we like going for a walk in the forest, enjoy mudflat hiking and look forward to reaching the top of the mountain despite the physical stress? The wonderful view, the pleasant feeling of the calves at work – and the revitalising, fresh air pique our interest in new adventures. A good load of oxygen stimulates the human body, invigorating the body and mind. Thanks to sophisticated technology it is possible to get that experience from the comfort of your home or workplace at any time. Our appliances offer a multitude of different ways to achieve a clean and perfectly balanced air quality! Normally, air in the atmosphere of our Earth is a composition of gaseous nitrogen, oxygen and small contents of other gases like argon. From a physical point of view, air equals air as long as all these components are present. However, even the slightest difference noticeable: The human body is very sensitive to any change concerning air temperature, humidity as well as purity levels of the air. Pollution and contamination by allergens considerably reduce vitality. You state of health depends with your physical and mental well-being. In our lives, a home is the most private shelter, the one place that symbolises absolute safety and needs to be maintained and serviced. When we are sleeping at night, our body regenerates. In this recovery phase without stress and strain it is important to provide ideal conditions for sufficient relaxation. Unpleasant stimuli are avoided at all costs, sensitive persons never travel without earplugs, to name just one example. Perhaps you have invested in a high-quality mattress, have mild herbal tea before going to bed or put on a sleeping mask. It would be rash to neglect an acceptable condition of breathing air that is needed for a restorative sleep – there is a time to save expenses, but not when it comes to health. During daytime bad air quality makes us feel tired and exhausted, it stunts motivation and drive. The difference in quality of air is noticeable immediately, for example when being outdoors in harsh weather with a stiff breeze blowing in your face. Do you know that feeling when you are taking a walk by the river bank or through the fields? In a trice weary cheeks become rosy again. Breathing is easier, you are wide awake and in high spirits, feeling healthy and free. Now try to get the same results by marching from the basement through the living room into the kitchen – your legs might experience a similar strain, but the burst of freshness from clean air is most likely to be missing. Not only household dust and allergens impact the indoor air quality, contaminants and environmental pollutants from the outside play an important role, too. In this shop section you will find a variety of products that help to improve air quality inside buildings. This includes appliances for cleaning, humidifying and dehumidifying the air. Use of these inventions is not only limited to residential environments, in fact they prove to be quite helpful in laundries, restaurants, retail shops and office spaces. Naturally all our branded products are tested and classified by international protection codes. More detailed notes about each product is available in their respective description. We look forward to clearing up any questions by phone or email. Air purifiers, a clean job! Our air purifiers filter dust, pollen, animal hair, mould spores, bacteria and other particles that trigger allergies as well as unpleasant odours like cigarette smoke and kitchen smells. During operation they are very quiet, do not take up much space and can be cleaned within a matter of minutes. Air purifiers are particularly recommeded for use in households with people suffering from allergies because they help reduce pollen concentration in the air. Two or three filters in a row ensure powerful cleaning results. Air washers combine all benefits of a humidifier and air purifier. In addition to filtering the air, the air is also washed in a water bath. In the process the dry air is humidified, if you wish you can add a special fragrance and have the air washer act as a scent dispenser. By using silver ions bacteria are killed. This technology tends to be more expensive due to the sophisticated construction and design. 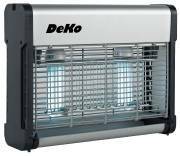 HEPA filter: efficiently removes small pollutants such as fine dust, pollen, animal hair, mould spores, bacteria, etc. If the filters are checked, cleaned and replaced on a regular basis you can achieve a cleaning result of up to 99.99 percent! Imagine hosting a party for a private function in your establishment that lasted until the wee hours of the morning, but in a few hours a couple of CEOs show up for a business brunch. Nobody enjoys the smell of stale cigarettes and alcohol in the morning, but these odours prove to be tenacious, settling in wallpapers and cushioning. Those olfactory “symphonies“ are a regular occurence in all businesses and industries that handle foodstuffs such as canteen kitchens and restaurants. A roast has been in the making for hours on the stove, right next to it an omlette is being prepared and the dessert is already caramelised in the oven. Many different fragrances fill the room and are a real challenge for the chef who needs an impartial nose to taste and season the dishes. A professional air cleaner immediately produces relief! It goes without saying that it can also be used in a residential kitchen, particularly in open plan kitchens. They do not take up too much space and can be used in the smallest of bedsits. Hobby gardeners nourishing flowers with a strong smell inside the house also profit from applying a sophisticated filter. The concentrated exhalation of some of the most popular indoor plants like hyacinths and daffodils can literally cloud your mind. Occasionally, they are the reason for headache and nausea. People suffering from allergies benefit from optimised indoor air quality. Similar effects can occur in retail shops selling soaps, creams and perfumes with many different, strong fragrances. Even dry foodstuffs such as spices and teas continue to exhale long after they have been put away in the storage room. When stocking several products it is not desirable for the fragrances to blend with each other because this can lead to spoiling of some goods. Occasionally, brand-new textiles and electric appliances emit harmful substances – even the fanciest shop decoration will not mask a chemical stench. Employees that are exposed continuously to these agents will experience headache, irritability and a feeling of dizziness. We recommend using a special appliance in this business sector as well. The ideal humidity level in closed rooms at room temperature contains 40 to 60 percent water vapour. Completely dry air with 0 percent humidity is only a meteorological theory, it does not occur in everyday life. In a scenario with 100 percent humidity, you could not see your hand in front of your face due to the extreme fog. Small water drops would already become visible. In bathrooms and kitchens humidity tends to be higher than in bedrooms and living rooms because of the nature of their use. Meanwhile, studies and offices with computers experience more heat, therefore amplifying dry air. Dry air is a truly sensitive issue for the easily irritable mucosa of humans and pets alike. Low indoor humidity usually develops during the colder season of the year when radiators and heaters are used frequently. Despite providing cosy warmth, this also increases risk of catching a cold. The thin mucuous membrane in the throat and nose are relieved almost immediately after being confronted with higher humidity, for example when you are taking a bath or using a nasal douche. Our electric humidifiers provide comfortable humidity all day long – some of our models even come with a special fragrance tray to dispense scented oils. 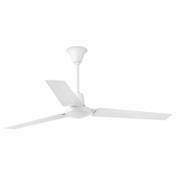 Blade set for ceiling fan Roadhouse 132 cm / 52"
In order to reach an optimum humidity, our manufacturers use a variety of technologies. Take a look at our product line and decide which one is best for your individual needs. Electric evaporators like the Vornado Evap3: Fresh water from a refillable water tank is dispensed in the room by an integrated fan. A large filter is placed infront of the emitted airflow to ensure hygienic breathing air. The filter must be replaced regularly in order to reduce the bacterial load. The unit consumes only little energy. A huge advantage is that the air cannot become too humid, this technology prevents oversaturation. The fan serves as an additional cooling appliance in hot summers! Stadler Form Fred ensures ideal humidification, the optional auto mode can switched off if required. The auto mode turns off the device once the desired humidity is accomplished. Bacteria and germs in the air are killed by the high temperature. Fred requires regular decalcification. 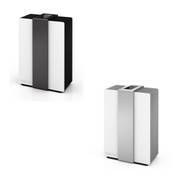 High frequency ultrasonic technology is used with the air washers Robert as well as the humidifiers Jack and Anton from the Stadler Form range: They disperse/nebulise water, thereby creating a fine cold mist and releasing cold air in the surroundings. This enriches the indoor air with sufficient humidity. Very quiet operation and low energy consumption. Most of our devices offer a special setting for selecting your preferred temperature. The settings can be adjusted to your needs at any time, including a night mode with timer. Sophisticated systems automatically measure the condition of the air with an integrated hygrometer and provide ideal indoor climate for a peaceful sleep. Waking up with a dry throat and swollen eyes is a thing of the past! Restaurants profit greatly from this technology too as it contributes to an overall pleasant and relaxing experience of the guests. Our tipp for gardening enthusiasts: Even if you water plants regularly and treat them with great care, the most important prerequisite for a healthy plant is humidity. Humidity in the air is not to be confused with the moisture content of the soil. Plants absorb carbon dioxide through their leaves, in the process they evaporate water. If there is little to now humidity they evaporate more water into the air. If your green fosterlings belongs to any other kind of plant than the cactus family, the leaves will dry out and shrivel under continuously low humidity levels. Ideal conditions for most plants is a 60 percent relative humidity. High humidity is caused by a variety of activities in our everyday lives: Taking a shower in the morning, mabye after an intense workout. Afterwards, the house needs to be cleaned, plants are watered, the floor is mopped and the carpet might need washing too. At lunch delicious vegetables are steamed on the stove, water is boiling waiting for the pasta to be cooked. And just like that 10 litres of water have accumulated, a household with four persons produces that value on a daily basis! Sleeping alone leads to an output of about half a litre of fluids just by sweathing and breathing. This value increases due to fever, nightmares or a general disposition for heavy transpiration. The human body regulates its temperature by discharging water vapour which is sometimes reflected in fogged up windows in the morning. The moisture in the air settles on walls and smooth surfaces. If humidity inside the room remains at a level above 80 percent for an extended period, mould spores flourish due to the perfect conditions provided by the air quality. Mould is more than an aesthetic problem, though – it poses an extreme danger for our health. Dehumidifiers Albert and Albert Little for rooms sized 40 to 70m2. Drying laundry emits particularly much water, a medium wash load produces up to 3.5 litres. For that reason residential laundry rooms as well as commercial laundromats are especially susceptible to infestation by fungi and mould. Before arming yourself yet again with chlorine and a cleaning sponge to combat unsightly mildew stains, consider a preventive counter-measure like our Albert dehumidifier! Albert can be used in rooms with a size of up to 70m2 and has a dehumidification performance of max. 20 litres of water per day. Farewell, mould!